At a time when other countries around the world are tightening their purse strings, Ireland is exiting austerity. 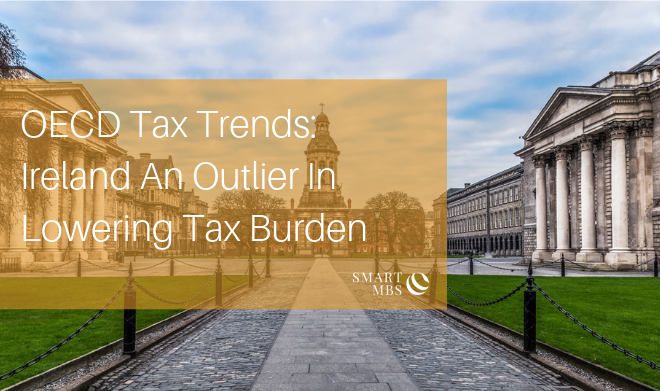 Indeed, Ireland is chief among a handful of jurisdictions to have decreased its overall tax burden since 2009. Just eight countries had achieved the same among the 34 OECD member countries covered in the OECD’s annual Revenue Statistics report, released in December 2018. The burden on companies had risen markedly in 19 countries. The Revenue Statistics report compares the tax-to-GDP ratios – the amount of tax collected as a percentage of the economy – of all OECD countries. It shows that while the average OECD tax-to-GDP ratio has climbed steadily since 2009, to 34.2% in 2017, Ireland's tax burden has fallen substantially over the same period, declining markedly from 2014 to 2015. As a result, Ireland’s tax-to-GDP ratio is now more than 10% lower than the OECD average, at 22.8% in 2017, and the third lowest in the OECD, behind only Chile and Mexico. Companies look at multiple factors when looking for the most attractive jurisdiction in which to invest: the quality of its workforce, regulatory regimes, infrastructure, proximity to markets, political and economic stability, and, of course, how simple and attractive its tax regime is. For many years, Ireland has scored highly on all of these fronts. However, its low, relatively simple and predictable tax regime has made Ireland a stand-out destination for foreign investment into the European Union. The foundation stone of Ireland's tax competitiveness is its 12.5% corporate tax rate. And while corporate tax rates have been falling globally for several years – and look set to continue falling – few reputable jurisdictions can beat Ireland on corporate tax. Importantly, successive governments in Ireland have committed to retaining the 12.5% rate despite outside pressure, notably from higher tax states in the EU. The Irish government has said it will continue to vigorously defend its right to maintain this rate of corporate tax and has also rejected EU initiatives that would undermine its sovereignty. It's little wonder then that Ireland retained pole position in KPMG's Tax Competitiveness Survey for 2018. According to the American Chamber of Commerce in Ireland, in 2016, Ireland, which represents just 1% of the European economy, attracted 12.1% of all US FDI investment into Europe. US investment in Ireland is up 16% from 2015, to $387bn, and over 155,000 people are now directly employed in over 700 US firms in Ireland. All of which is a huge vote of confidence in Ireland’s economy, its workforce, government policy, and, of course, its tax regime. If you are considering setting up operations in Ireland, we can help. You can also find out more about why you should expand into Ireland and how Smart MBS can help you on this journey in our eBook, available to download below.